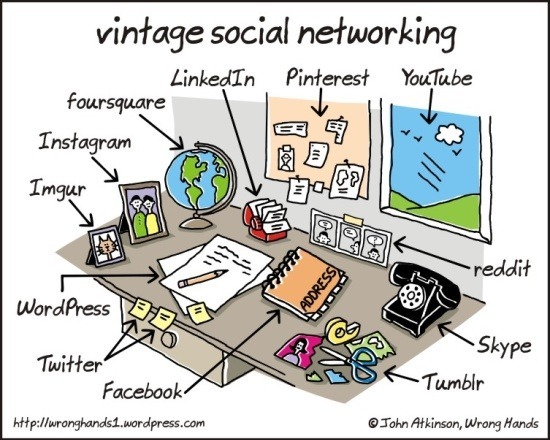 Cute image from Wrong Hands cartoon blog about Vintage Social Media. It was too true not to share. Yar, this be the kind of infographic ye can get on board with. Should applying the world of social media to real life be a mysterious one for ye, Wrong Hands have explained all in one image.